The House on July 23 voted 272-152 to pass the Foreclosure Prevention Act of 2008 (H.R. 3221) that will offer up to $300 billion in assistance to troubled homeowners and throw government support behind mortgage finance giants Fannie Mae and Freddie Mac. The Senate voted 72-13 on July 26 and President Bush signed the bill into law on July 30. The bill allows Treasury over the next 18 months to offer Fannie and Freddie an unlimited line of credit and the authority to buy stock in the companies if necessary. The law also will establish a new regulator for Freddie and Fannie and overhaul the Federal Housing Administration. The Congressional Budget Office on Tuesday estimated the potential cost of a rescue could be $25 billion. CBO has estimated there is probably a 50% chance that Treasury would not need to step in but also concluded there is a 5% chance that Freddie and Fannie's losses would cost the government $100 billion. The FHA could insure up to $300 billion in new 30-year fixed rate mortgages for at-risk borrowers in owner-occupied homes if lenders agree to write down loan balances to 90% of the homes' current appraised value. 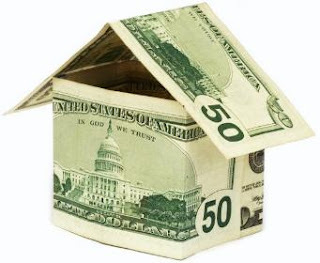 Lenders would also agree to pay upfront fees to the FHA equal to 3% of a home's appraised value. Borrowers must agree to pay an annual premium to the FHA equal to 1.5% of their new loan balance. They must also agree to share with the government any profit they realize from selling or refinancing.